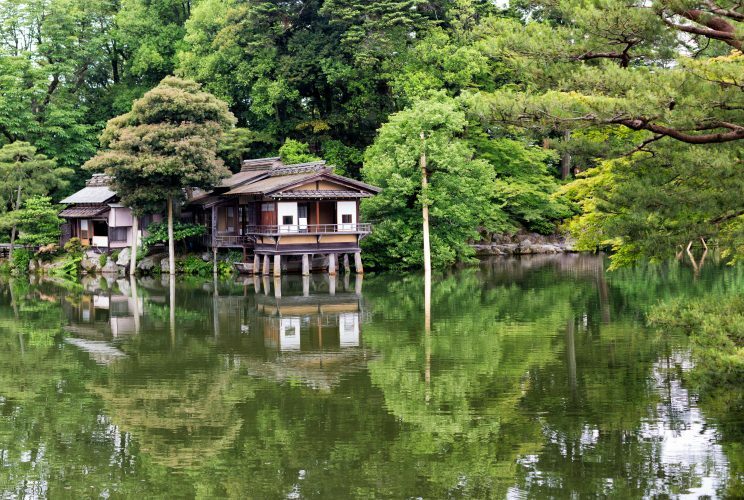 Japan is filled with countless places that inspire and enchant visitors. From historic castles and eye-catching floral displays to unusual landscapes that look pulled from a completely different country, here are some of the most beautiful places in Japan you have to see to believe. Mount Koya is the spiritual home of Shingon Buddhism, a sect founded more than 1,200 years ago by one of Japan’s most important religious figures, Kobo Daishi. The sect’s head temple, Kongobu-ji, is set on the forest-covered mountaintop of Mount Koya. 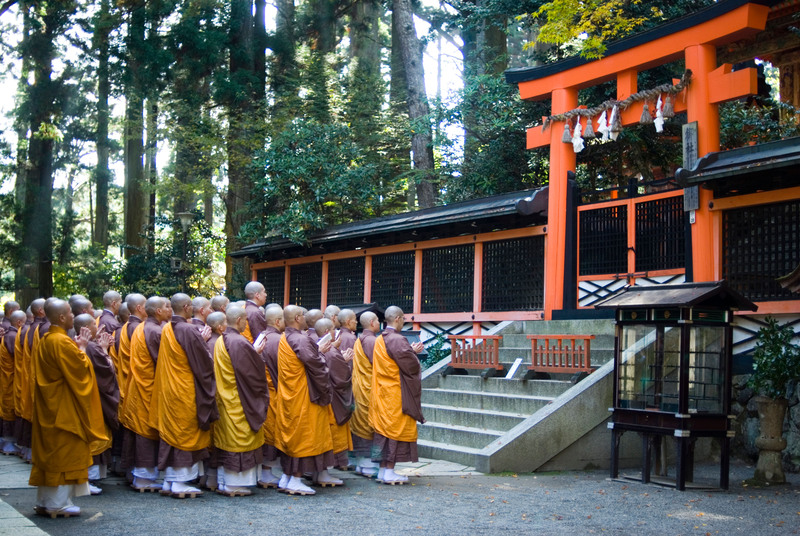 Over 100 other temples have been established around Mount Koya, many of which offer visitors an overnight stay. 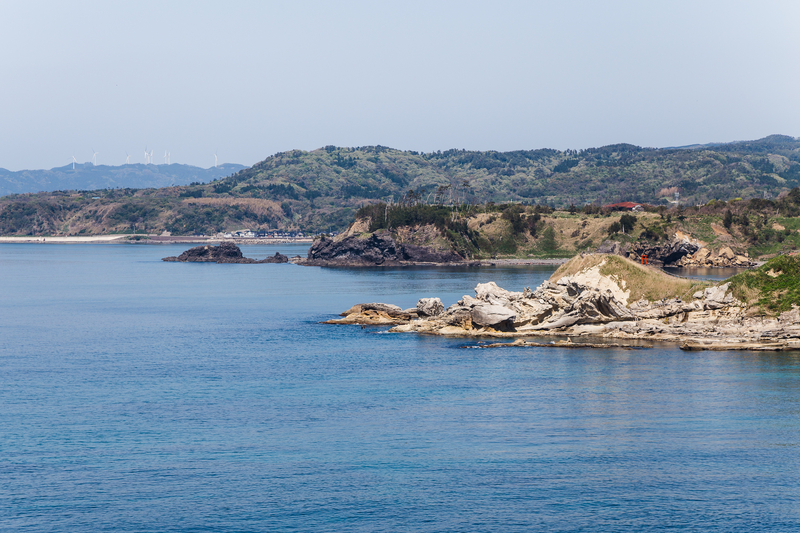 Comprising the northern section of Ishikawa Prefecture, the Noto Peninsula is home to some of Japan’s most stunning coastal scenery and untouched countryside landscapes. Aside from admiring the natural scenery, the peninsula offers a number of spots for fishing, swimming, and camping. Its main tourist center, Wajima City, is home to fewer than 30,000 people and serves as wonderful place to experience Japanese small-town life. 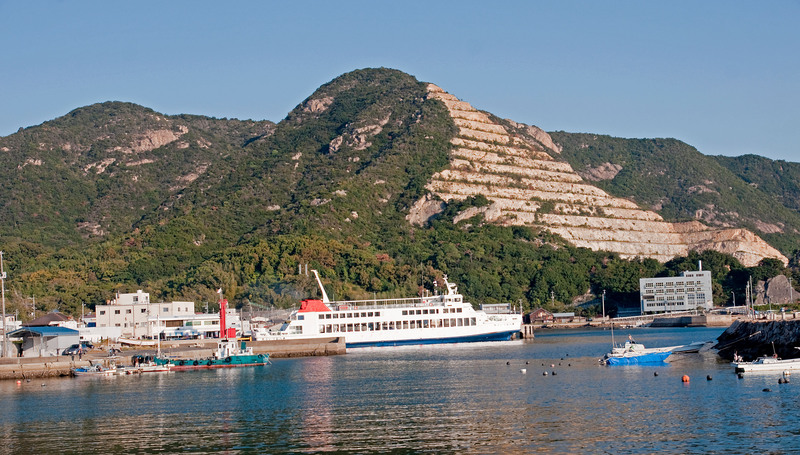 Shikoku is Japan’s fourth largest island, located southwest of the main island of Honshu to which it is connected via two bridge systems. This island is also tied to influential monk Kobo Daishi as the home of the 88 Temple route, one of the country’s most important pilgrimages. Aside from attracting those seeking spiritual fulfilment, the island offers some spectacular coastlines, mountain ranges, and tumbling rivers. 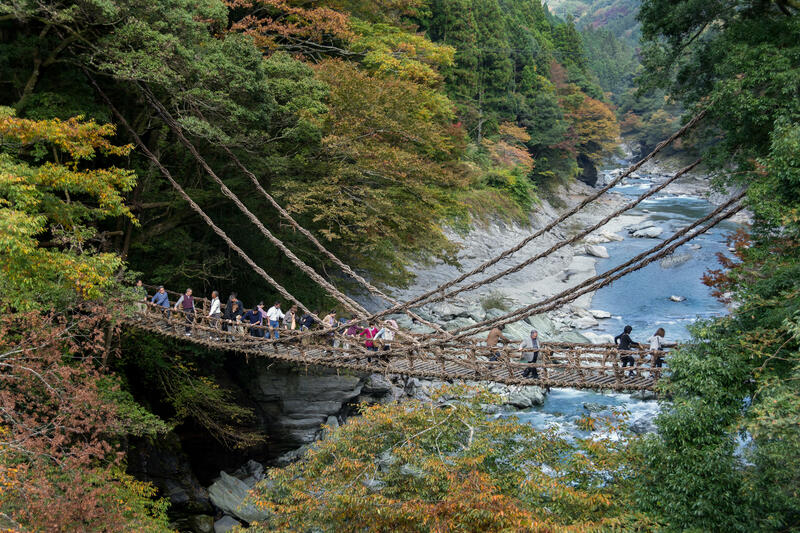 The Kiso Valley is home to the Nakasendo trail, one of only five Edo-period highways connecting Edo (Tokyo) and Kyoto. Travelers during this time made this long journey on foot and, as a result, the Kiso Valley is dotted with historic post towns where travelers once rested, ate, and slept along the way. It’s possible to walk a section of this old highway, between mountains and through thick forests, as well as visit some of the well-preserved towns. Shodoshima has a mild climate and a Mediterranean atmosphere, home to beaches, dramatic coastlines, resorts, and even olive plantations. The second largest island in the Seto Inland Sea, Shodoshima is one of the hosts of the Setouchi Triennale contemporary art festival, and outdoor installations from previous festivals can be seen dotted around the island. Named one of Japan’s ‘three most beautiful landscape gardens’, Kenrokuen Garden is filled with charming bridges, walking trails, teahouses, trees and flower. 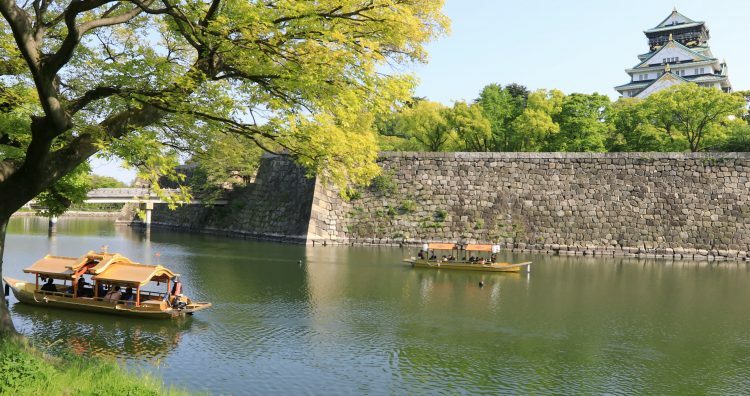 Once the outer garden of Kanazawa Castle, Kenrokuen was opened to the public in the late 19th century. Each season reveals a different side of the garden’s beauty, from plum and cherry blossoms in the spring to colourful maple-tree leaves in the autumn. 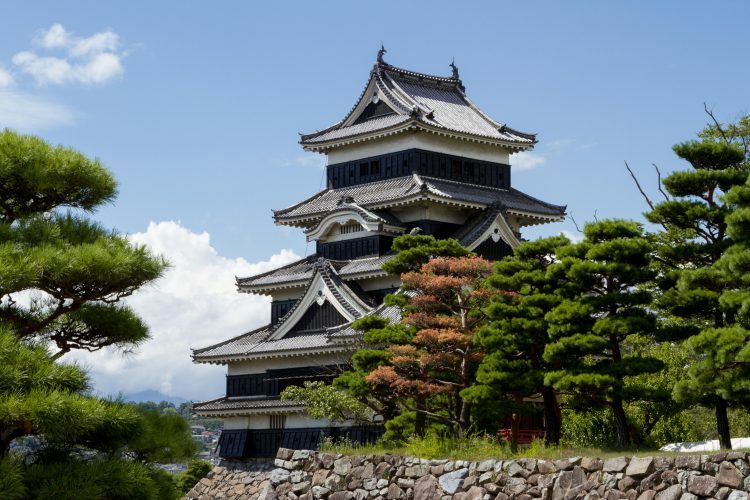 Matsumoto Castle is one of only a handful of original castles remaining in Japan. Initially built in 1504, it was expanded to its current form in the late 16th and early 17th centuries. Nicknamed Karasu-jō (Crow Castle), it’s known for its beautiful black-and-white three-turreted main keep. Nachi Falls is the tallest waterfall (with a single drop) in the country, tumbling down 133 metres (436 feet) into a rushing river below. 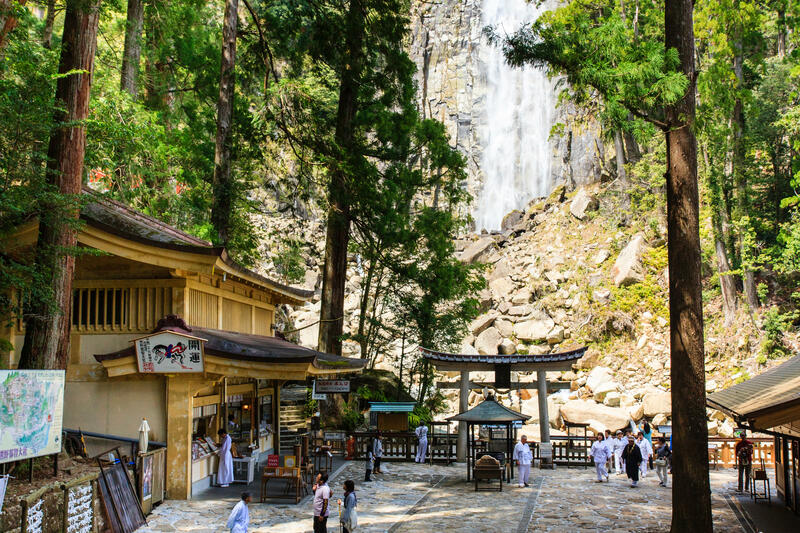 The waterfall is overlooked by the gorgeous Nachi Taisha Shinto shrine, which is said to be more than 1,400 years old. Built in honour of the waterfall’s kami (spirit god), the shrine is one of several Buddhist and Shinto religious sites found around the waterfall. The Tateyama Kurobe Alpine Route connects Toyama City in Toyama Prefecture with Omachi Town in Nagano Prefecture. 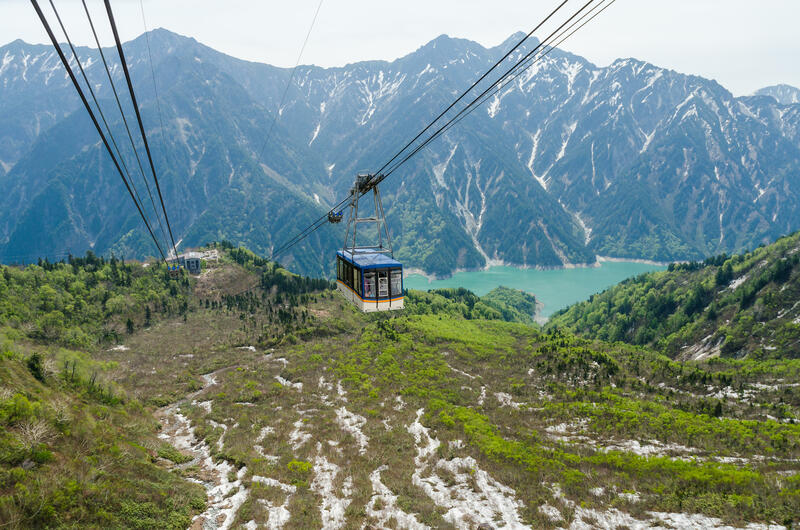 The route can be experienced by various types of transportation, including ropeway, cable car, and trolley bus, all of which offer spectacular views of the surrounding Tateyama Mountain Range. The most impressive part of the route is the road between Bijodaira and Murodo, which is bordered by 20-metre-high snow walls from April to May each year. 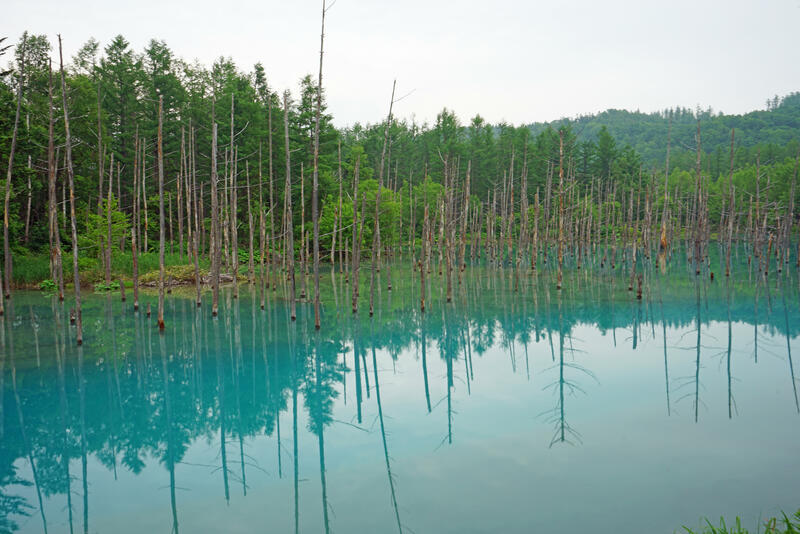 The Blue Pond in Hokkaido Prefecture, also called Aoiike, is known for its ethereal blue colour. Tree stumps protruding from the surface of the water add to its otherworldly appearance. This artificial pond was created as part of an erosion control system, designed to protect the area from mudflows that can occur from the nearby Mt. Tokachi volcano. The pond’s eerie blue colour is caused by natural minerals dissolved in the water. 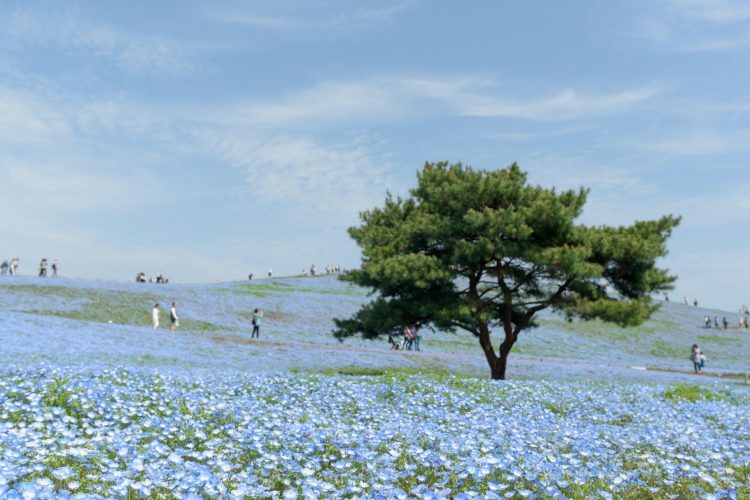 Hitachi Seaside Park is famous for its fields of baby-blue flowers, called nemophilas, which bloom across the park in the spring. The park encompasses 190 hectares (470 acres), and more than 4.5 million blossoms blanket its fields every April. During the autumn, the park’s rounded shrubs called kochia (bassia in English) turn a bright crimson colour, creating an almost equally mesmerising sight. Gokayama is part of a UNESCO World Heritage Site that also encompasses the nearby village of Shirakawa-gō. 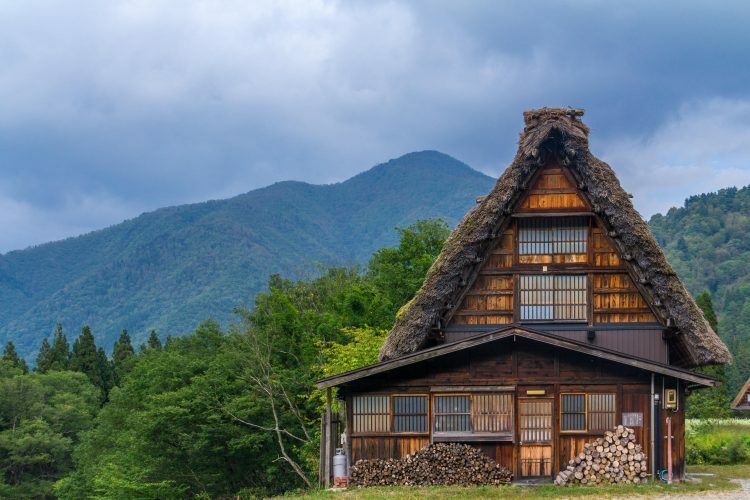 Both areas are known for their traditional gassho-zukuri farmhouses. These centuries-old houses feature distinct thatched roofs, designed to withstand heavy snowfall. 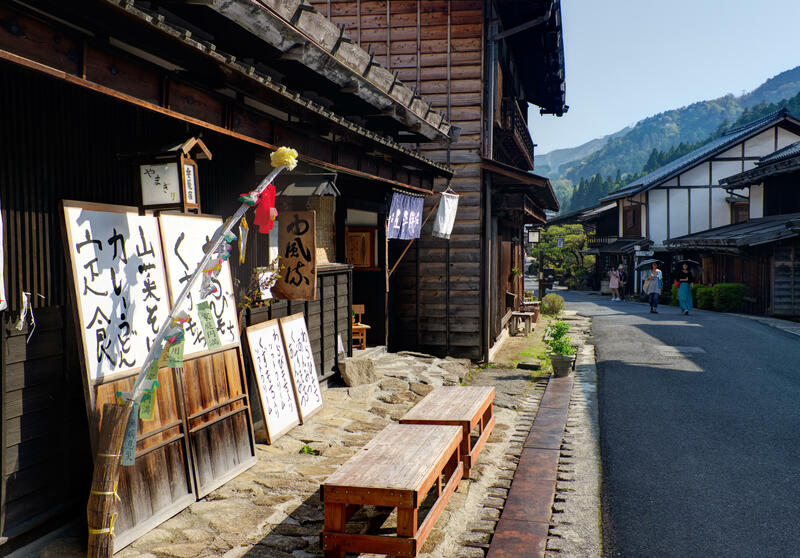 Gokayama is less accessible than popular Shirakawa-gō, and, as a result, its villages are more quiet and secluded. 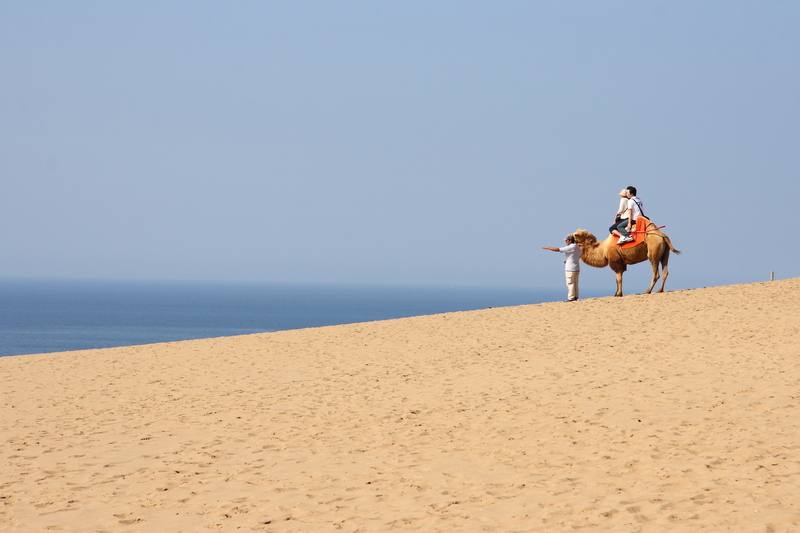 The Tottori Sand Dunes are part of Sanin Kaigan National Park in Tottori Prefecture. Stretching for 16 kilometres along of the Sea of Japan coast, the dunes are the largest in the country. Tide movement and wind causes the dunes’ shapes to change constantly, but they can be up to two kilometres wide and 50 metres high. Camel rides are widely available, causing the area to have an enchanting, desert-like atmosphere. 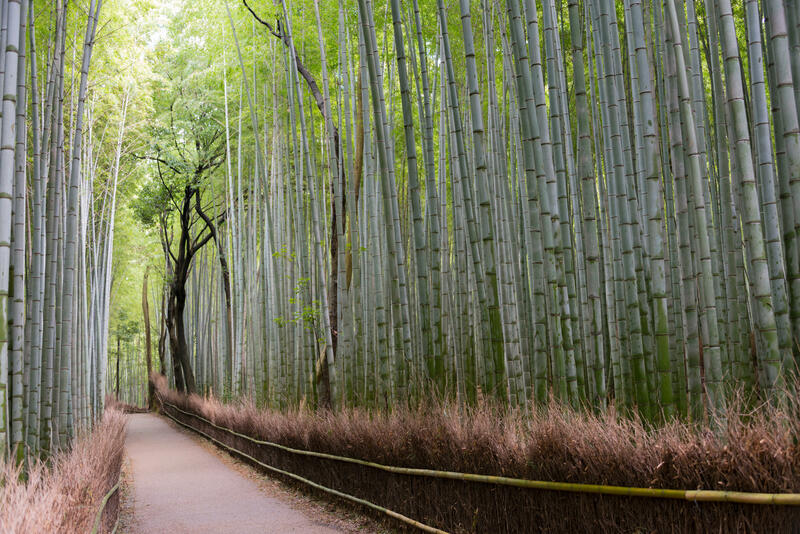 The Sagano Bamboo Forest is located in Arashiyama, a district on the western outskirts of Kyoto. Paths wind through towering bamboo groves, with the sun peaking between the green stalks and creating an enchanting effect. The bamboo forest is equally famous for its beauty as for the characteristic sounds created by the bamboo stalks swaying in the wind. Nishinomaru Garden is a gorgeous lawn garden that offers spectacular views of Osaka Castletower and the stone wall of its moat. The garden is covered with more than 600 cherry trees and more 95 different types of apricot flowers. It’s a popular spot for cherry blossom viewings in the spring, with night-time illuminations held during the peak blooming periods. Aogashima is a tiny, tropical island in the Philippine Sea, which is under the administration of Tokyo. The most isolated island in the Izu archipelago, Aogashima is home to an enormous double volcano. The island itself is a volcano and there’s a second smaller volcano found at its centre. With around 200 inhabitants, Aogashima is also the smallest village in Japan.